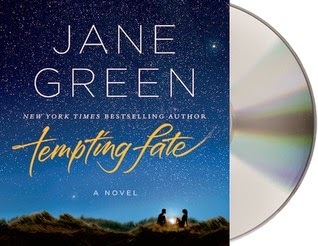 Number one bestselling author Jane Green gives a powerful portrayal of a marriage rocked by betrayal in the stunning Tempting Fate. When Gabby first met Elliott she knew he was the man for her. In twenty years of marriage she has never doubted her love for him - even when he refused to give her the one thing she still wants most of all. But now their two daughters are growing up Gabby feels that time and her youth are slipping away. For the first time in her life she is restless. And then she meets Matt . . .
Intoxicated by the way this young, handsome and successful man makes her feel, Gabby is momentarily blind to what she stands to lose on this dangerous path. And in one reckless moment she destroys all that she holds dear. Consumed by regret, Gabby does everything she can to repair the home she has broken. But are some betrayals too great to forgive? Gabby and Elliot have been married for eighteen years and have two daughters that they love very much. Gabby thinks they have a steady marriage and that she is content, even though Elloit refuses to give her the third child she so desperately desires. She tries to push that desire away and almost convinces herself that she has. Although she is not a flaunty high maintenance woman it becomes apparent early on that she has some insecurities about her age. She thinks her friends silly to try so hard to feel young, dressing provocatively and flirting with strange men on their girls night out. Yet when a handsome young attractive man starts to talk her up she can't help but to feel special. They strike up a friendship that Gabby keeps telling herself is innocent. Yet she lies and sneaks around to maintain it. She becomes thoroughly obsessed with his emails, yet she is still in denial that she wants more than friendship. It's a dramatic slippery slope that I watched with baited breath. I was obsessed with Gabby and Matt's interactions just the same as she. It was a trainwreck waiting to happen but I just couldn't turn away. The plot was at times predictable but never disappointing. I was completely mesmerized by Gabby's story and think that this book genuinely depicts human weakness in a very realistic way.Tempting Fate is an intoxicating strong cautionary tale of how our choices can lead to life-changing consequences - good, bad or sometimes an unexpected blend of both. I would like to note that I listened to this as an audiobook with the author as the narrator. 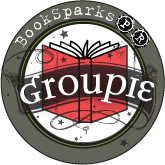 I loved that the book was being read by the author and felt that it really added to the feeling of truly understanding the characters true nature. I loved her English accent and found the whole experience to be quite enjoyable. I wish more authors would narrate their own books!